Again, I offer my back yard as an asylum to anyone in Colorado who still wishes to breathe free air. Bring your own tent, RV hookups not provided. If you are tired of looking at Cuba under Castro, China under Mao, Russia under Stalin, or (insert the name of a power-crazed fascist here) for examples of what will happen when ersatz dictators get completely beyond the pale, you can always turn to Colorado. If you follow the news at all, you know that Colorado is not far from going completely over the edge into some kind of tie-dyed dictatorship. Whether it is banning fracking in places where frankly there is nothing to frack, to efforts to creating firearms laws guaranteed to make anything with more firepower than a lawn dart illegal, the people running the Centennial State have come up with a maneuver right out of the playbook of every socialist/communist regime that ever stained history: Indoctrinating the young into The Party. Now growing up liberal (Sounds like a good book title, doesn’t it? Well, maybe someday.) My elders made sure I was well-schooled in all tings Left. And yes, I know that every media outlet these days is cramming their unformed minds full of everything progressive. The problem is, many of these agitators are not as young as they used to be, and in order to maintain a leftist grip on Colorful Colorado, they need a good strong base of zombies to carry on the fight after they themselves age out to the point they can once again follow Jerry Garcia on tour. Somebody has to vote against the Second Amendment and fossil fuels and for higher tactics after the current crop of dinosaurs have moved on. To that end, the great minds of the apparatchik in Colorado have taken a page right out of every dictatorship in the history of the world, not that the history of the world is taught in schools anymore. According to the Denver Post, a new law goes into effect on Wednesday. House Bill 1135 will permit people in Colorado that have reached the ripe old age of 16 and 17 to preregister to vote. 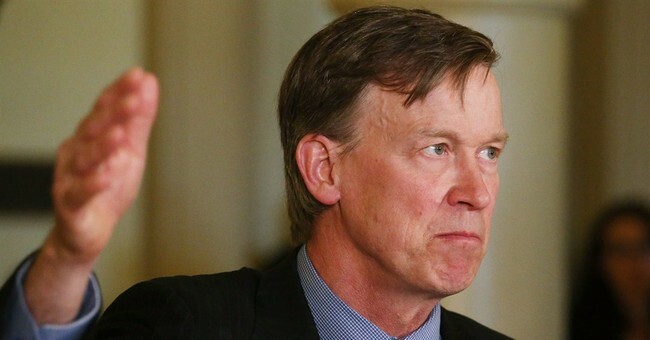 Similar bills were defeated in 2011 and 2012, but since progressives have the run of the place, it sailed right through and the Governor put his “John Hickenlooper” on it. True, it sounds good on balance. They won’t get to vote until they are 18, but they are only preregistered. This will get them excited about participating in the process, right? This will get them all fired up to vote, right? C’mon people, this is a good thing! You can bet it’s a good thing, if you are a progressive who wants to make sure that your values and no one else’s hold sway. It is a good thing if you want to make sure that Colorado stays blue and only blue forever. It is a good thing if you want to make sure you and only control the media, and control the government. Who will be giving these pre-voters their civics lessons? State-run schools. Who will be giving them their information? The Leftist media. I was 16 once. And 17. I was rash, I was passionate, and I was incredibly self-centered and vain. Words that also accurately describe progressives. I know. I was one for 41 years. And yes there is precedent, and reason to worry. Totalitarians have used this method throughout history to swell their ranks. What hasn’t been addressed to my knowledge is what will happen when the time comes to address any issue in Colorado that might require a partisan headcount. Will all of these preregistered voters suddenly become Democrats? Anybody want to give me odds? The odd thing is, and the scary thing is that much of Colorado has not submitted to the Great Liberal Lobotomy. The people fighting to get the man out of office that pushed his anti-Second Amendment laws through have been harassed, and intimated on every front. One part of the state even wants to secede because it is so fed up with California refugees dropping the same guano that ruined that state all over the place. The time worn mantra is “First they came for the Jews, etc.” Well in Colorado, they are coming for your kids.